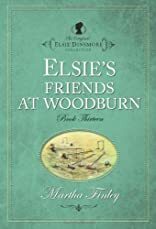 Enter the world of Elsie Dinsmore! These nineteenth-century fictional chronicles of a beautiful young heiress in the Civil War South have captivated generations of 10- to 14-year-old readers eager to follow Elsie's life from childhood to motherhood and beyond. You'll find Christian values, tender romance, family fun, and lasting lessons refreshed for a new generation! These later books in the series include visits to historic sites in Boston, Philadelphia, New Orleans, and New York, and feature custom illustrations. 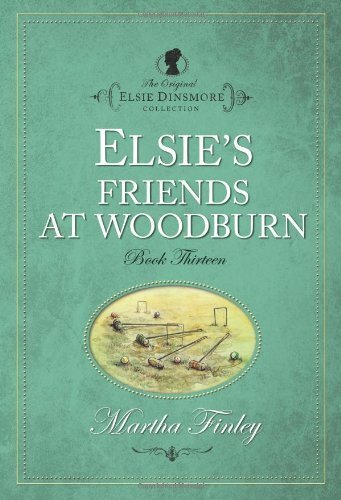 Elsie?s Friends at Woodburn, Volume 13 Elsie's extended family enjoys an enchanting party at Woodburn, the Raymond family's new home. Lulu plays hostess and learns some lessons about Christian charity.